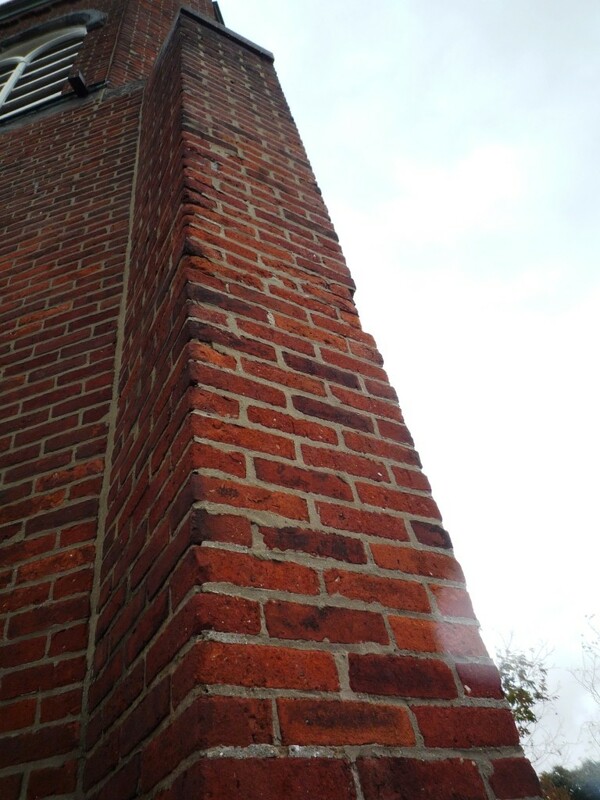 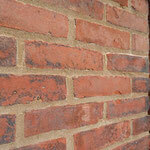 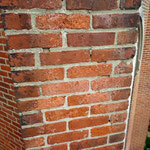 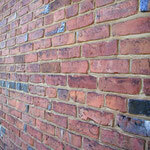 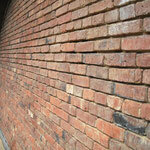 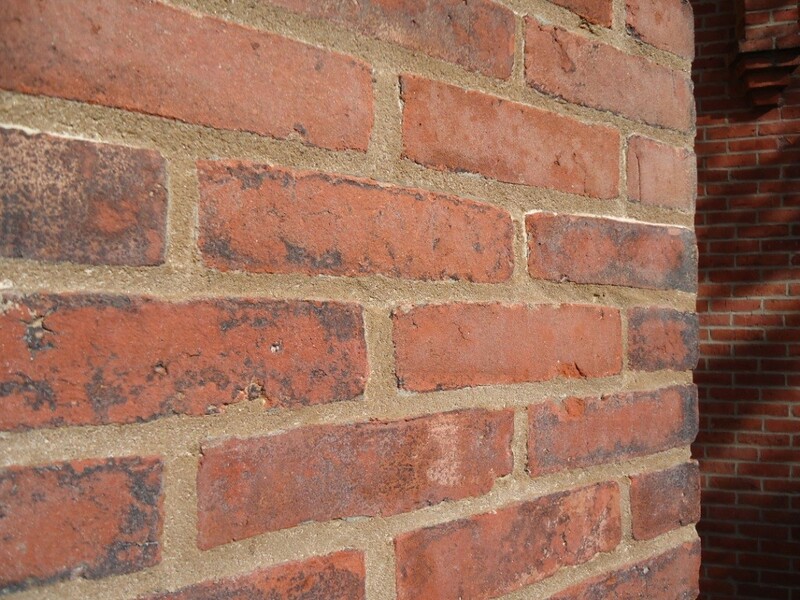 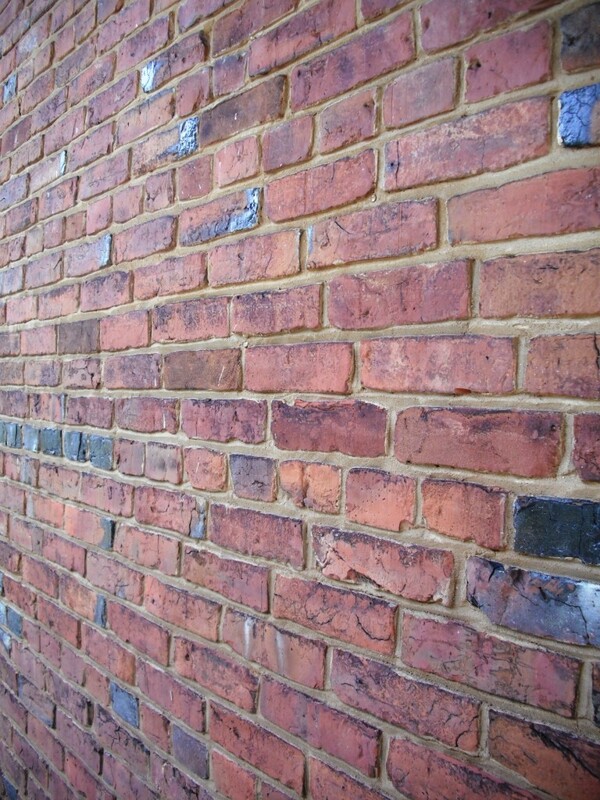 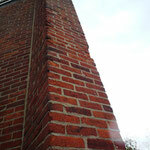 Repointing (commonly called "tuckpointing") is the replacement of deteriorated mortar. 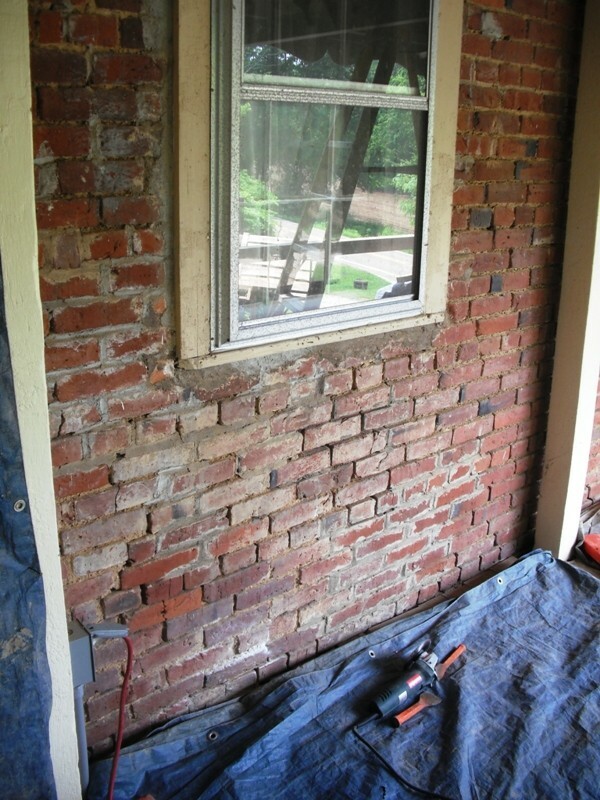 The process entails cutting back, or "raking," the mortar joint mechanically or by hand, so that the newly-placed mortar will stay in place, and then pointing in replacement mortar. 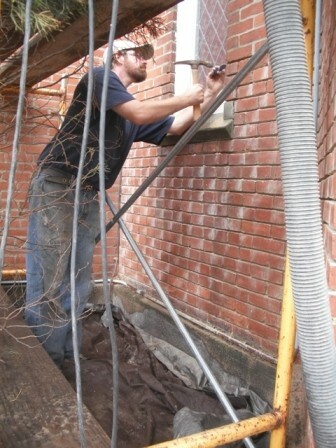 The work preparing the joint for the new mortar is only part of the equation. 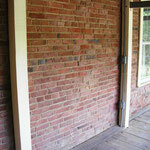 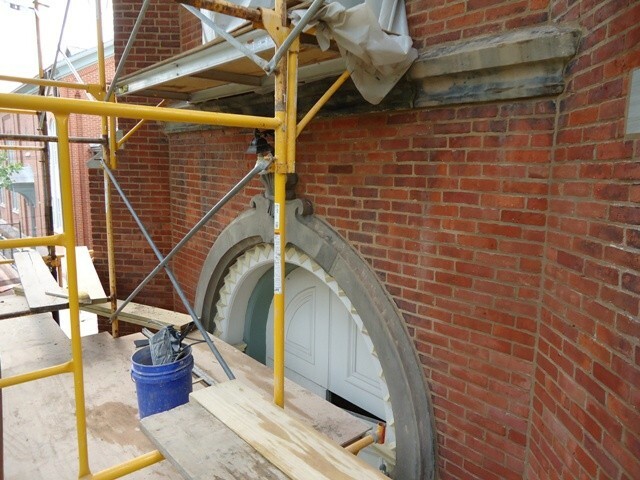 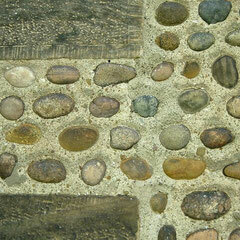 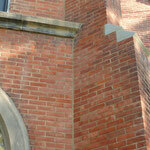 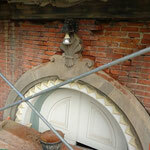 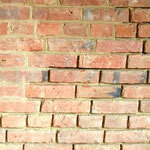 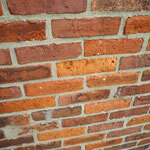 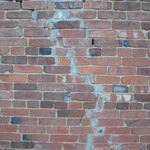 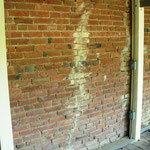 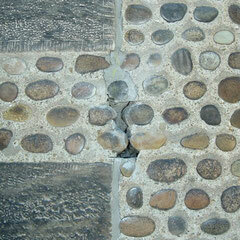 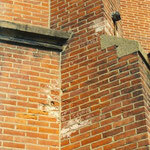 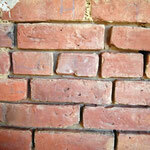 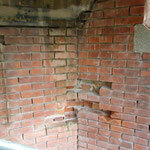 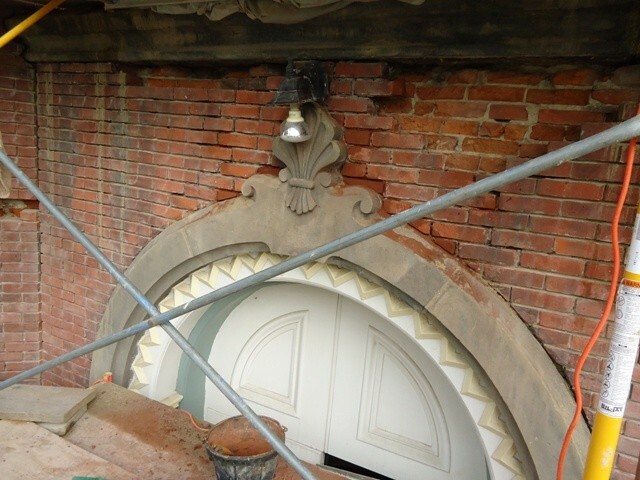 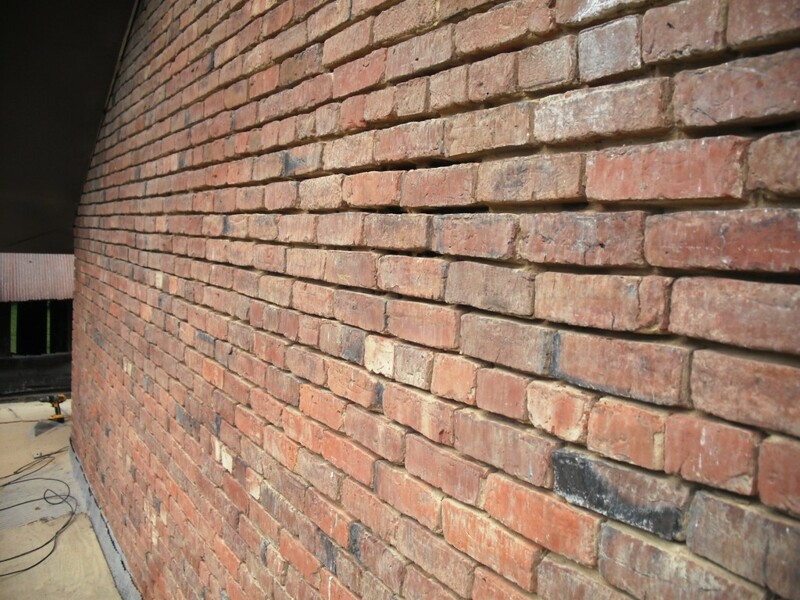 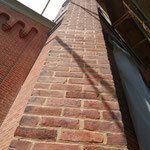 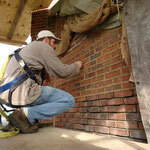 Using the right type of mortar is the most critical part of making a lasting repair. 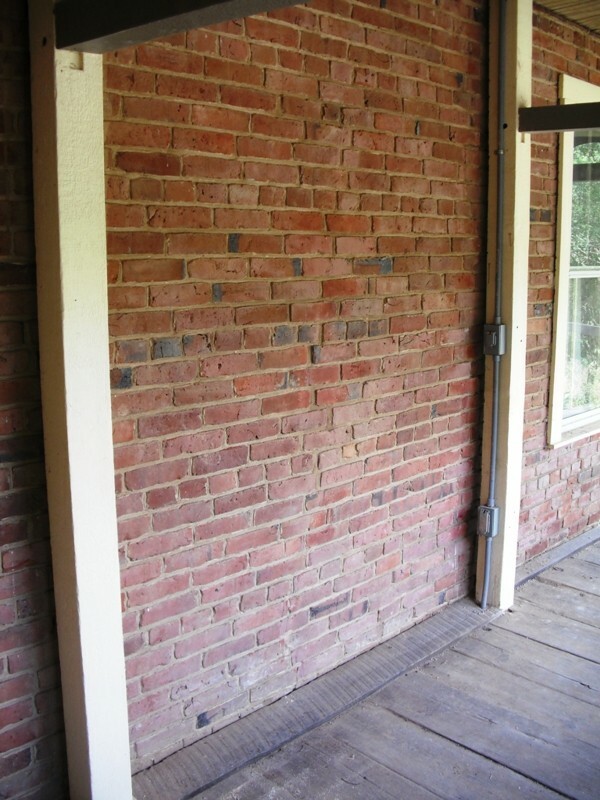 It is important to know that mortars come in a variety of grades and uses on structures; this was true historically as well as today. 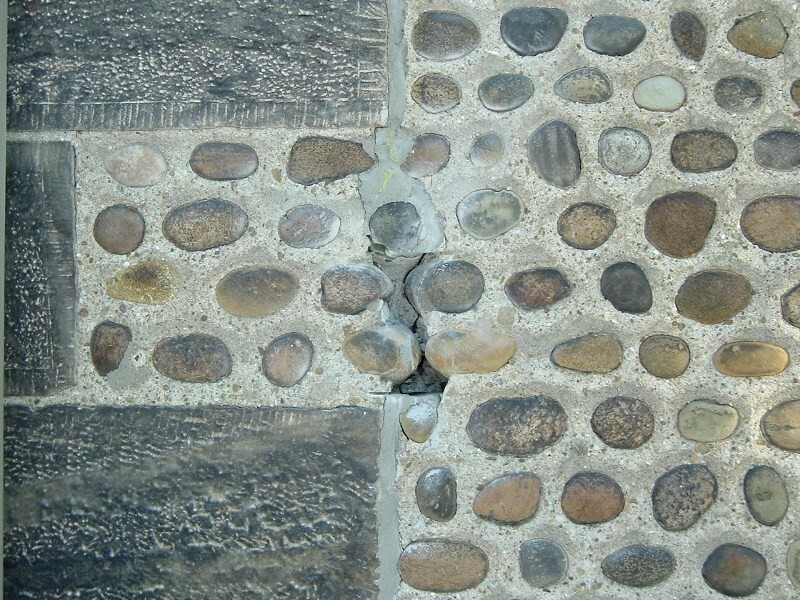 These grades are usually separated by the proportions of lime and cement (called "binders") in the mortar mix when combined with the other main mortar ingredient, sand. 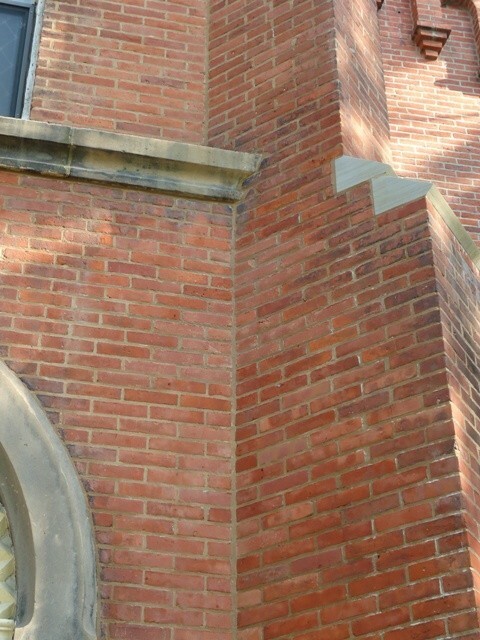 In general, mortars higher in lime content are used on older masonry stuctures; mortars with a higher cement content are used on more contemporary masonry. 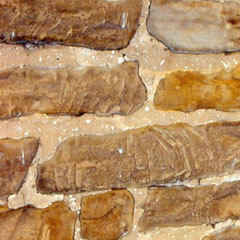 In traditional masonry work, lime, a byproduct of limestone, was the principal ingredient. 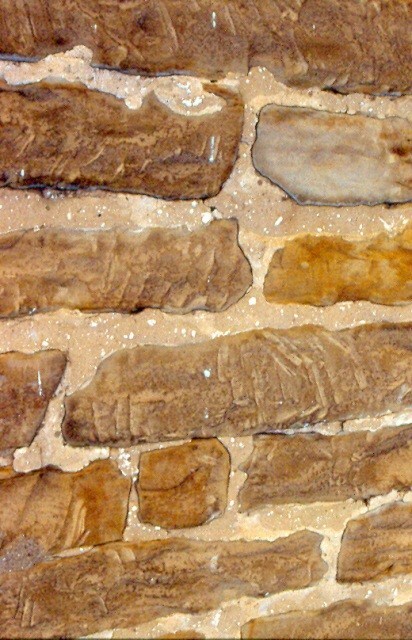 Mixed with sand, these are called lime mortars. 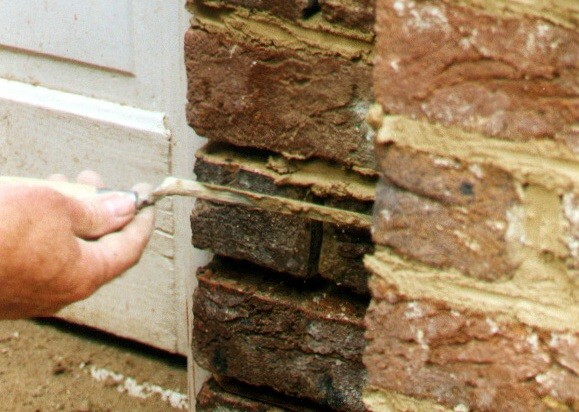 In general, lime mortars in a traditional masonry structure performed the following main functions: to bed the masonry unit, to permit structural movement through the mortar joint, and to allow the masonry unit to dry out. 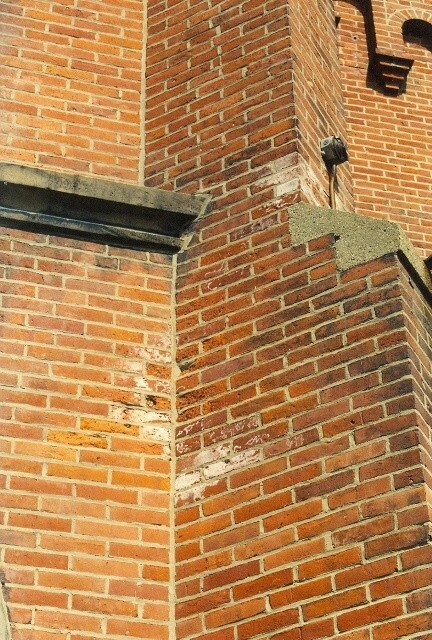 The advent of modern masonry at the latter part of the 19th century was spurred, in part, with the advent of cements used in mortars. 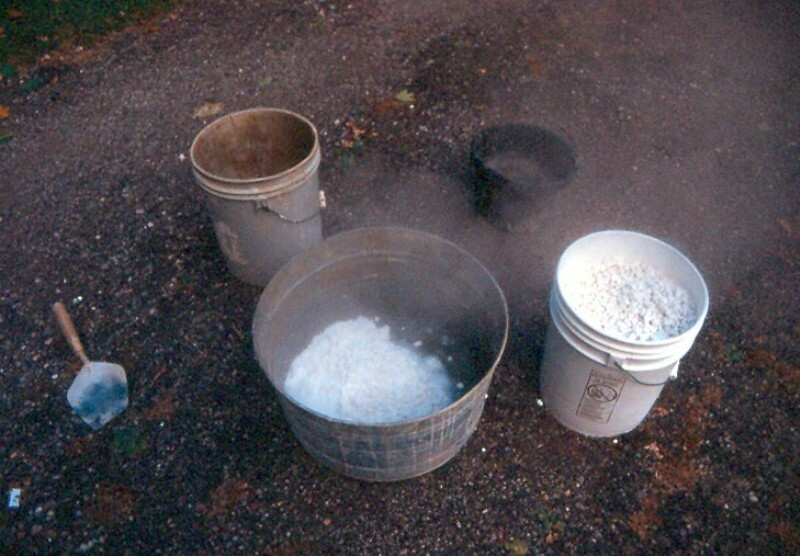 Cement (or "Portland Cement"), largely a byproduct of clay and gypsum, sets up quicker than lime and is also stronger and more water-tight. 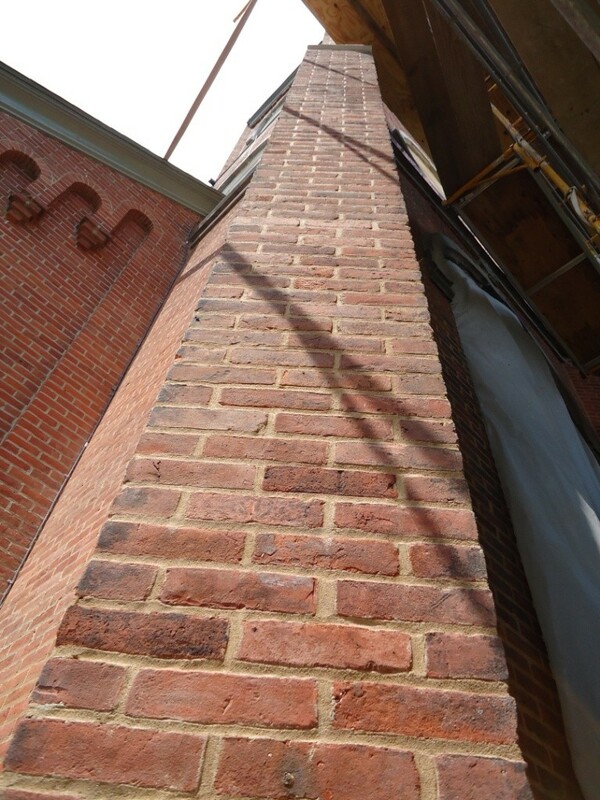 Cement-based mortars were, and still are, fully appropriate for veneer work that developed during this time of large scale construction. 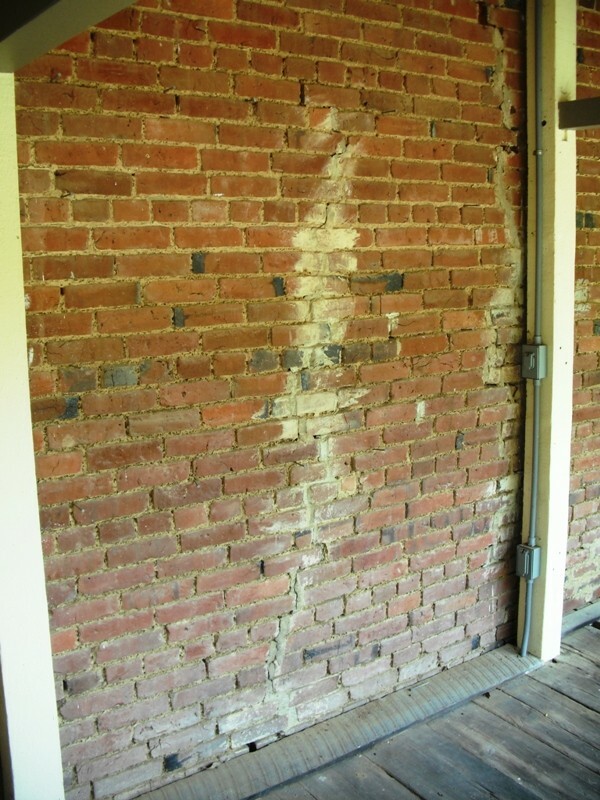 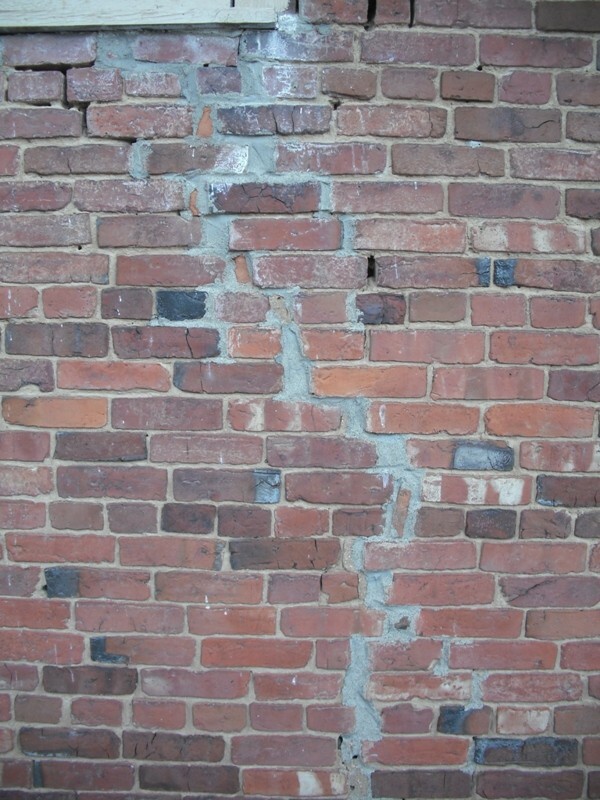 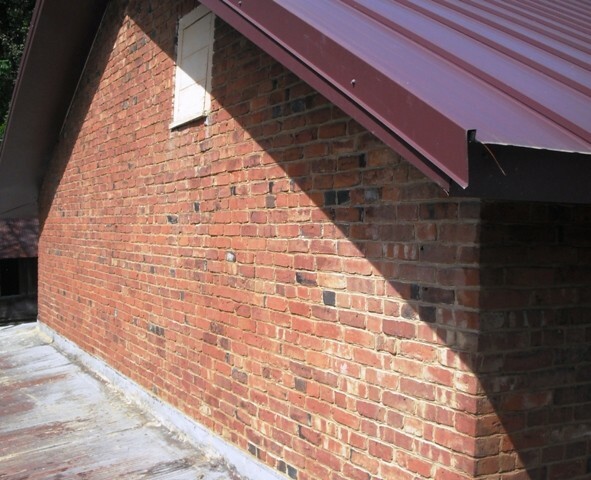 Unfortunately, these qualities do not always blend with historic masonry structures (see photos below) so it is therefore important to be careful what mortar is used in any restoration project. 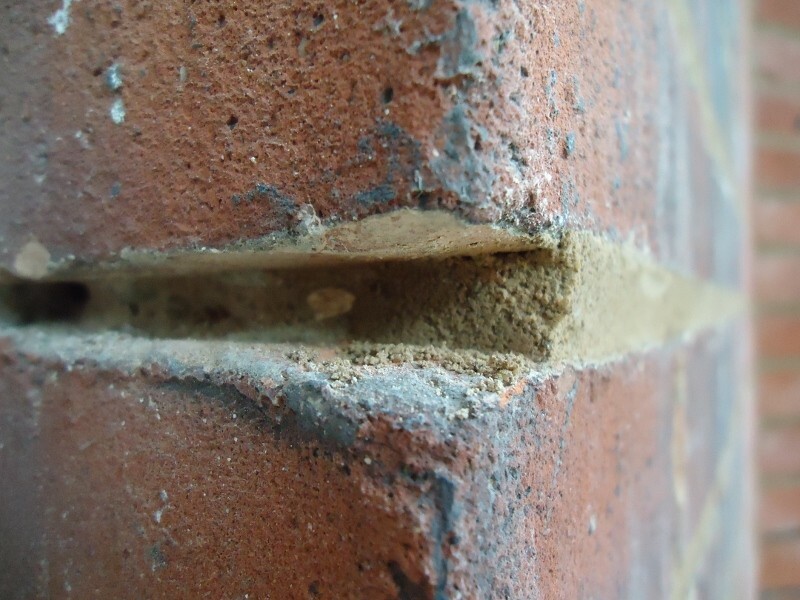 Spalling, or the breaking of the face of a masonry unit, is usually a sign that an improper mortar is surrounding the unit. 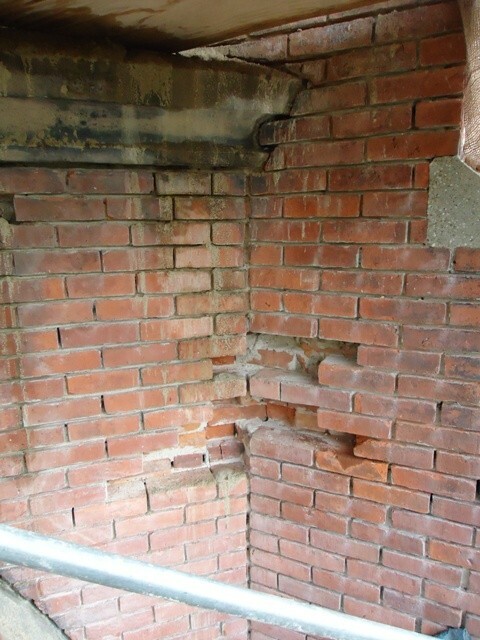 Traditional load-bearing masonry and lime mortars need to breathe and move, which mortars rich in cement do not always allow. 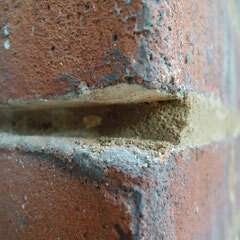 Compared to modern, cement-based mortars, lime mortars set up and cure slowly. 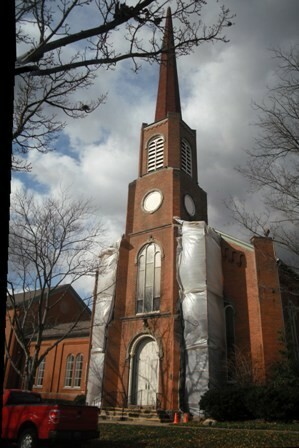 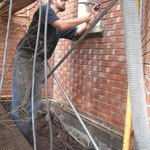 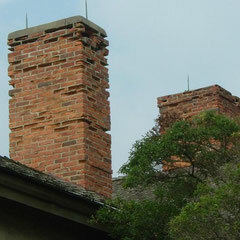 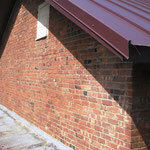 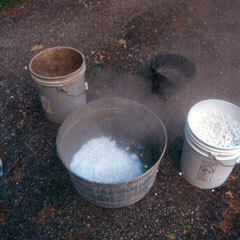 Using protection to keep the mortar from drying out too soon, or in colder weather, freezing, is often necessary upon initial application for the first several days. 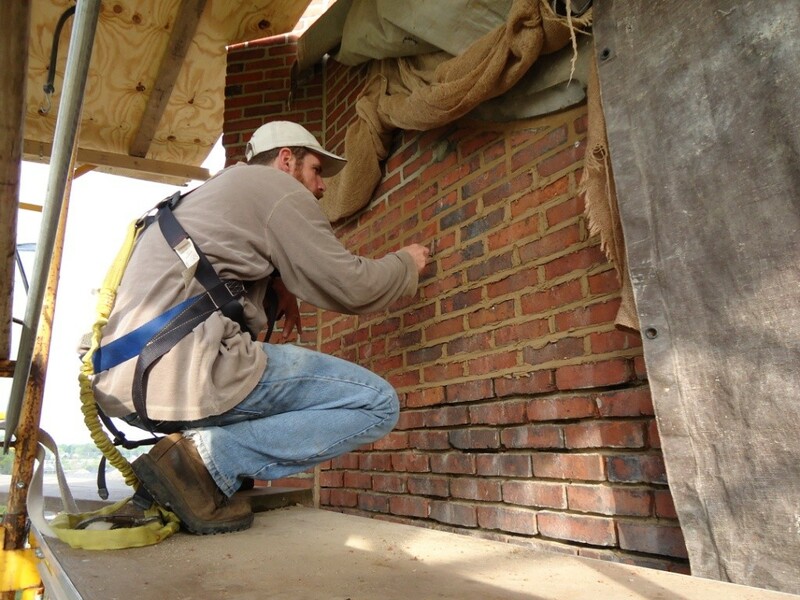 Because of this, lime work can be labor intensive; however, it is the appropriate material for older masonry and far more cost effective over the long term. 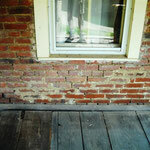 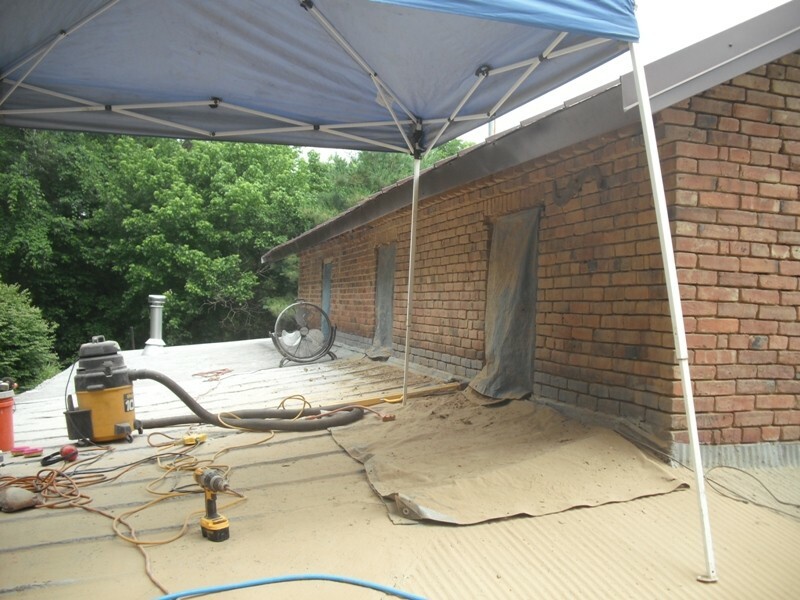 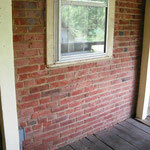 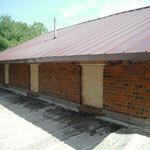 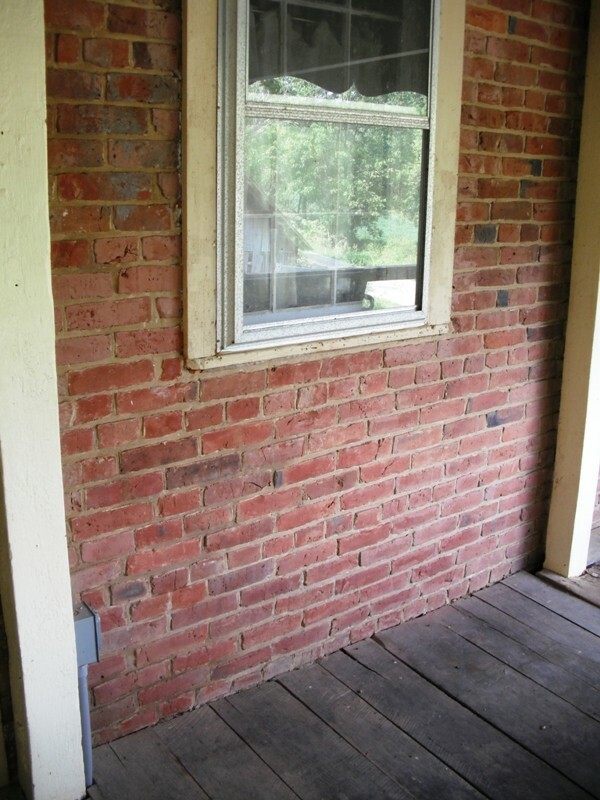 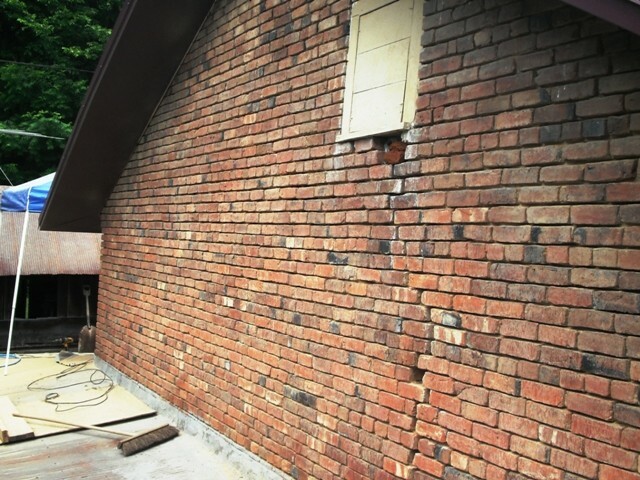 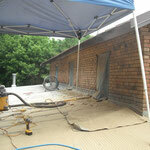 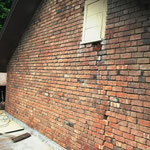 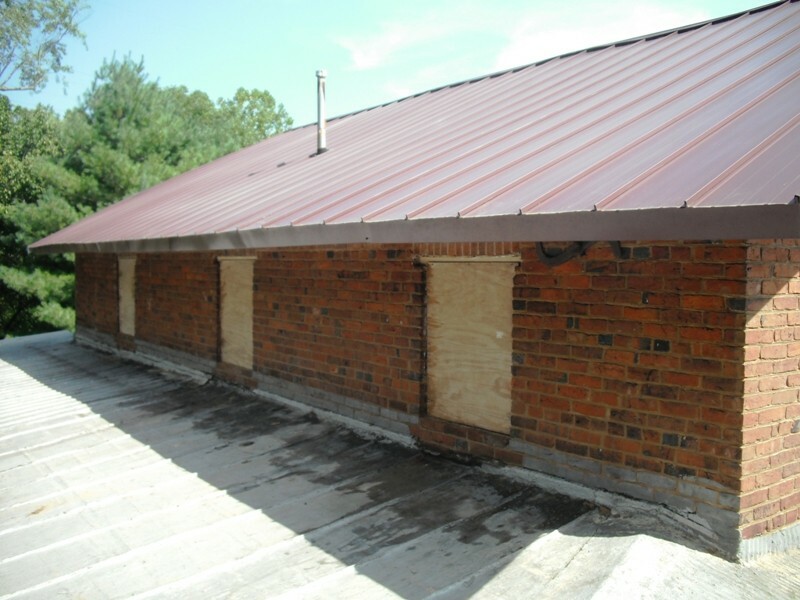 What is ultimately expensive is masonry irreparably damaged with an improper mortar mix. 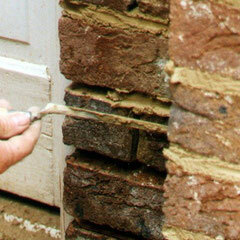 We have experience with lime-cement mortars, lime putties and Natural Hydraulic Lime (NHL) mortars. 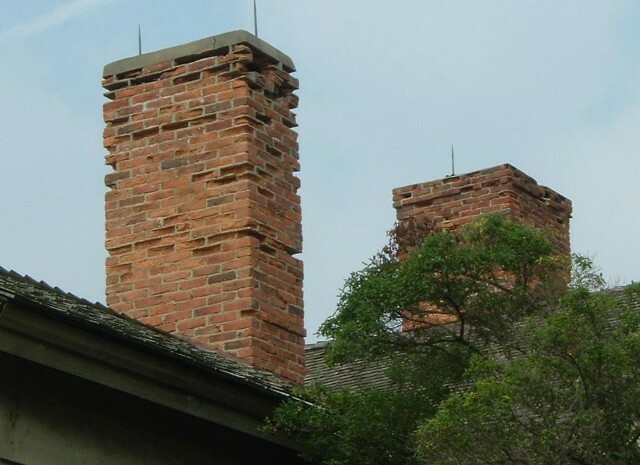 We choose our mixes for each project largely based on the existing mortar, type and characteristics of surrounding masonry units, and location of joint on the given structure, all with the goal of maximizing the longevity of the work. 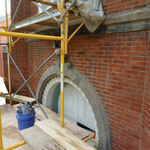 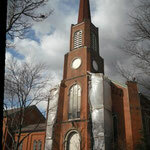 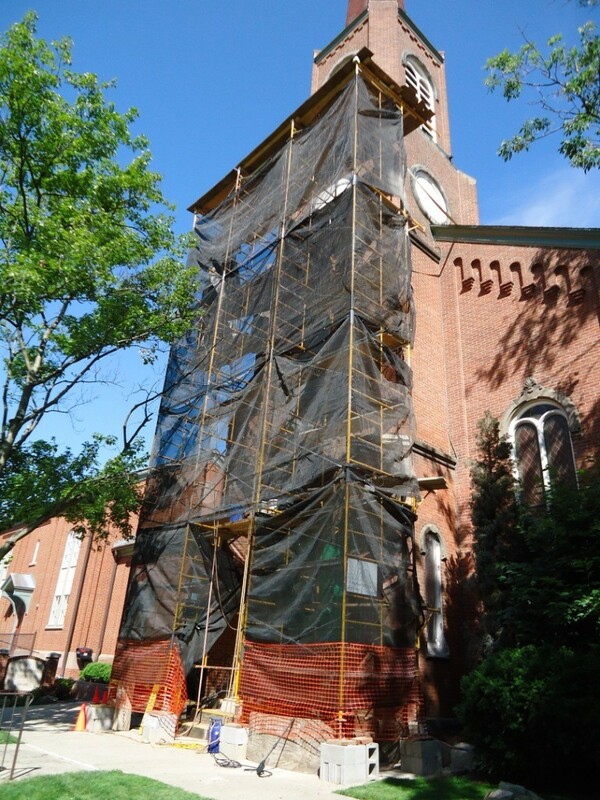 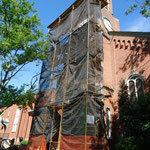 Because the bulk of our work is restoration, we aim to blend our work with the old. 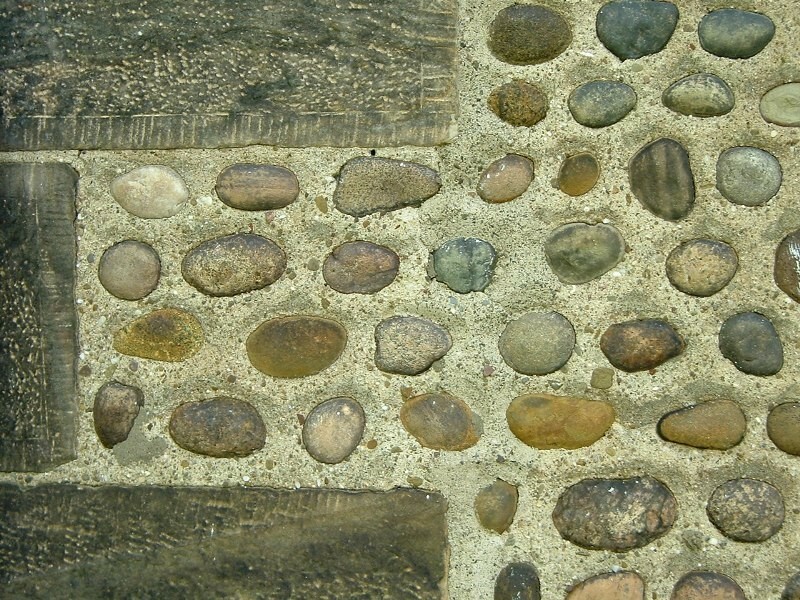 That means not only using the right type of mortar mix, but also matching the coloring and joint profile of the original. 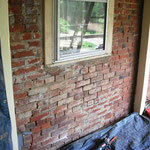 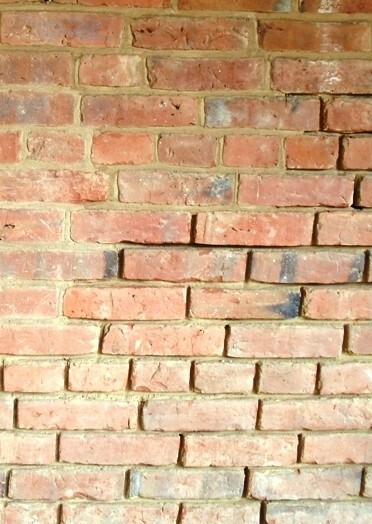 Repointing, ca. 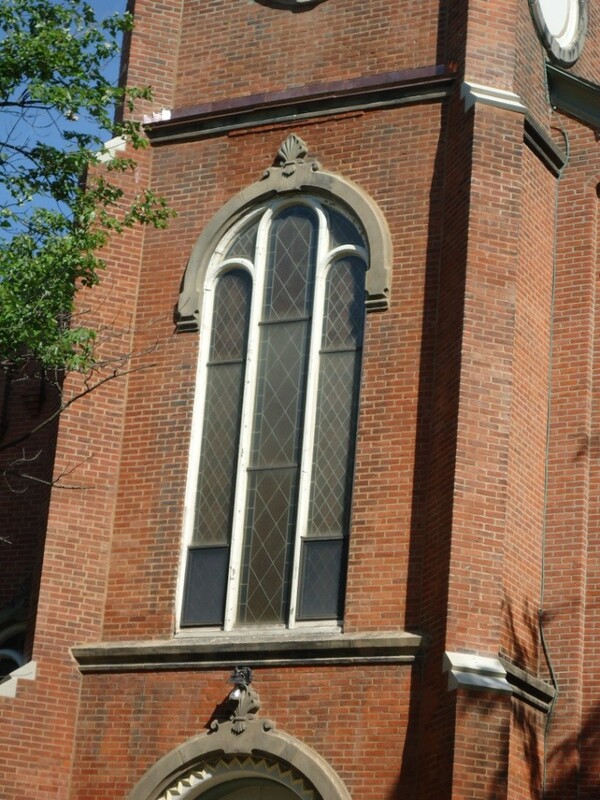 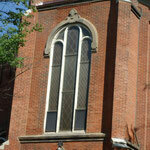 1865 First Congregational Church of Hudson, OH. 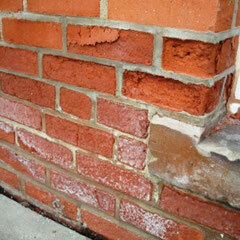 NHL and lime putty mortars used. 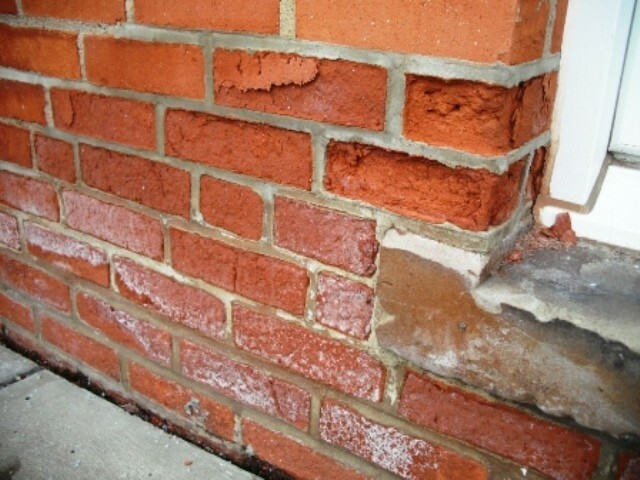 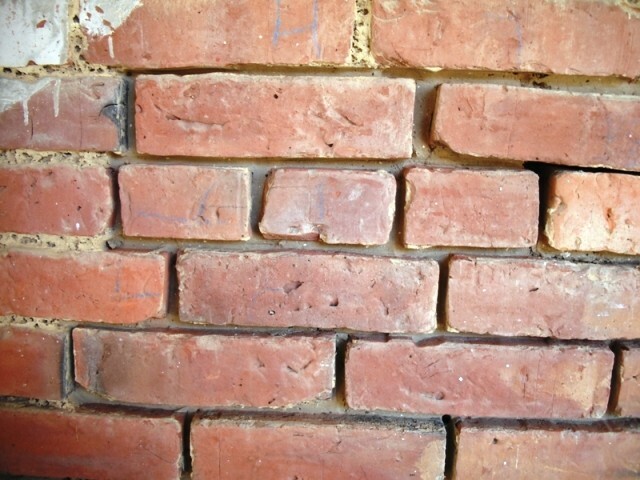 Repointing ca. 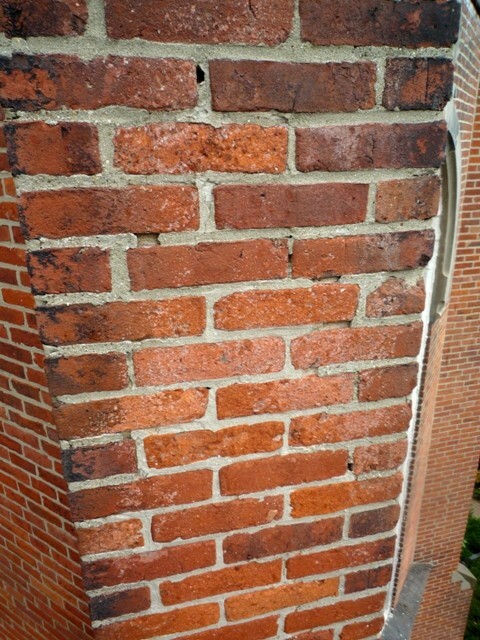 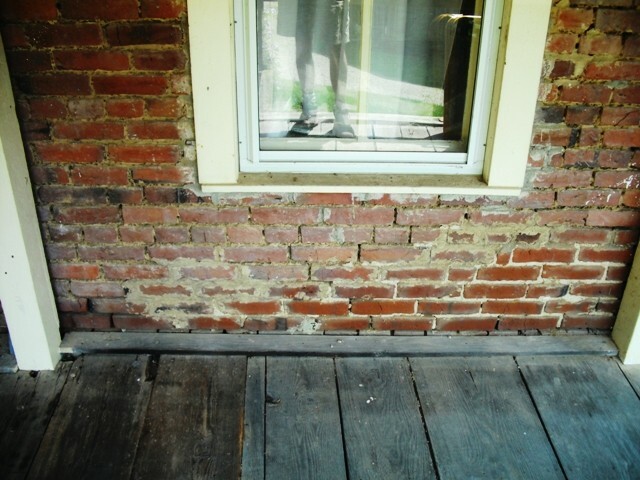 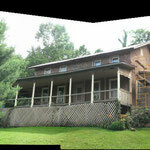 1830 brick residence, Athens County, OH. 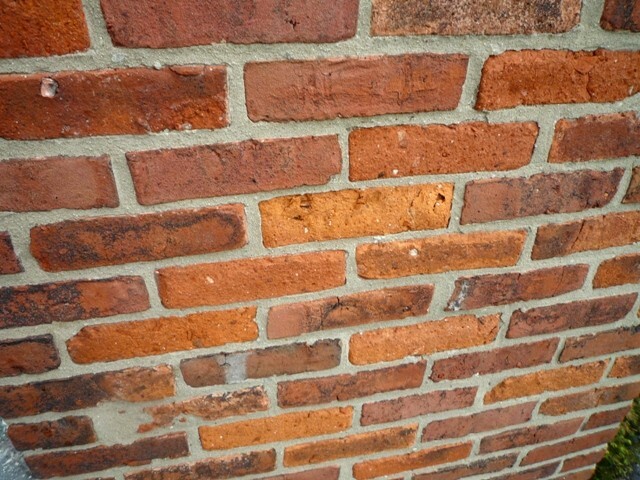 NHL and lime-clay mortars used.